This is my third time capturing images of masks in Venice during the carnival. Not that the first two events, in 2010 and 2011, didn't deliver any useable images at all. But the whole event is so mystique and addicting plus somehow, I feel that this will be most likely my last time to photographically capture this magical event. There are other places to visit in the world that I have never been to and so many other things to photograph but still, I am not ruling anything out at this point. This time around we also had the opportunity to take images of three masks in a more personal setting. Anna, Solange and Anne-Sophie, you guys were great and thank you very much for your time. Your friendship is greatly appreciated. Three fellow photographers from California, Bobby, Luz and Aravind, Sarah from Philadelphia, Alec from Singapore and Werner from Germany were there as well. On and off for a few wonderful days, we captured images of people in masks together. I definitely enjoyed their company. Thanks, guys! At sunrise or shortly before sunrise a group of dedicated masks gather near the water front at San Marco. The weather did not cooperate on Saturday; it rained practically the entire day. Thankfully, the weather changed for the better in the following few days. Yes, it was cold but both sunrise and sunset during the next few days were spectacular and most importantly, it was dry. When more and more crowd started to assemble, a group of masks and photographers moved quietly to a different location further inside the "labyrinth" of Venice to get away from the crowd. The "program" was flexible and communicated right there and then on the spot. Other popular shooting locations that I visited included Arsenale, San Giorgio and Burano or just about anywhere else less crowded. The masks love their pictures being taken and you can ask them to pose as you please. In return, they would like you to send their images to them. Most masks are well prepared; they give you cards that show them in their masks and costumes. However, I managed to miss some of them since it could be quite hectic. If you happen to know the masks that I didn't identify on the images below, or if I misidentified some masks, please let me know. I would be more than happy to send some of their images to them. I kept in contact with quite a few masks and recognized them right away and they recognized me. Despite the language barrier, we somehow managed to communicate and it was really a wonderful feeling, similar to that of good friends that have not seen each other for a year. I was using two camera bodies to minimize lens changing needs. In 2010 and 2011, I used more longish lenses but to my surprise, I used my 24-70mm Mark II a lot, more so than I previously anticipated this time around. As before, the shallow depth-of-field and bokeh rendition of the 85mm lens at f/1.2-f/1.8 are really gorgeous and made me use this lens quite often as well for my short tele needs. Please note that the time on the EXIF data is Pacific Daylight time, which is 9 hours behind the local time. Thank you for visiting this gallery. I hope you enjoy the images of this wonderful, colorful, photogenic and yet mysterious world of masks. Please feel free to leave comments on the images themselves or on the gallery itself as you see fit. Your feedback is greatly appreciated. Magnifique galerie ! Superbe ambiance et beaux portraits de costumés !!! V.V.V. Magnifique galerie , quel plaisir ! merci pour ces beaux costumes que nous découvrons ! Thank you so much Joshua for this so stunning gallery, and I love the words you used to describe it. Magnifique galerie et quelle belle mise ne valeur de tous les costumes. Amazing collection. Very nice work.V. 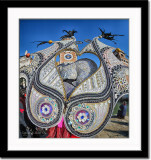 Venice carnival imagery at a high level of quality and beauty. You did great, Joshua, for our pleasure ! Vote. Très belle galerie avec quelques perles? bravo! What can i say Joshua ??? 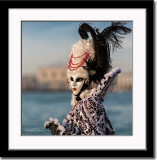 Yes , it' s the best gallerie i seen over this 2013 edition of the : " Carnaval di VENEZIA " !!! Realy a " lot " of great portraits , a lot !!! The special " Atmosphere " is everywhere on this gallerie . The Magic of this event is so present on your great work ! Lovely photos , Lovely in all ways . It' s a pleasure to walk in this little world of Fantasie . Yes , you are now a " Master " of Venice . Wee can feel the atmosphere of this Carnaval ! The " Emotion " is real !!! So now the vote ! I give you my highest vote ! " The Ultimativ Best Vote " !!! It was great to share time with you in Venice and discover now the amazing photos you took! Thank you very much. Awesome capture! Great work, Joshua!